CELLER, Emanuel, a Representative from New York; born in Brooklyn, N.Y., May 6, 1888; attended the public schools; was graduated from Columbia College, New York City, in 1910, and from Columbia University Law School, New York City, in 1912; was admitted to the bar in 1912 and commenced practice in New York City; Government appeal agent on the draft board during the First World War; delegate to the Democratic State conventions from 1922 until 1932; delegate and member of Platform Committee of Democratic National Conventions from 1942 through 1964; elected as a Democrat to the Sixty-eighth and to the twenty-four succeeding Congresses (March 4, 1923-January 3, 1973); chairman, Committee on the Judiciary (Eighty-first, Eighty-second, and Eighty-fourth through Ninety-second Congresses), Special Committee on Seating of Adam Clayton Powell (Ninetieth Congress); unsuccessful candidate for renomination in 1972 to the Ninety-third Congress; member of the Commission on Revision of the Federal Appellate Court System, 1973-1975; resumed the practice of law; resided in Brooklyn, N.Y. where he died January 15, 1981; interment in Mount Neboh Cemetery, Cypress Hills, N.Y.
Papers: ca. 1924-1973, 244.8 linear feet Correspondence, notes, news clippings, memoranda, speeches, financial records, printed material, and other papers relating to Emanuel Celler's service as a congressman from New York state and as a chairman of the House Judiciary Committee. Topics include bank mergers, baseball investigation, Biafra, busing, Cambodia, campus disorders, civil rights, crime, foreign trade, the proposed impeachment of William O. Douglas, immigration, India, internal security and loyalty, Israel and Zionism, monopoly, the operation and methods of the Monopoly Subcommittee of the House Judiciary Committee, mutual security, oil, oligopoly, pollution, poverty, Presidential disability, religion in schools, segregation, selective service, sports, trusts, Vietnam, and welfare. A finding aid is available in the Manuscript Reading Room. Oral History: 2 folders. Transcript in the Oral History Collection of the Association of Former Members of Congress. Restricted. Sound recording in the Library's Motion Picture, Broadcasting and Recorded Sound Division. Papers: In the Irving Brant Papers, ca. 1910-1977, 24.4 linear feet. Correspondents include Emanuel Celler. A finding aid for the papers is available in the repository. Papers: In the Frank Minis Johnson Papers, ca. 1955-1982, 63 linear feet. Correspondents include Emanuel Celler. A finding aid for the papers is available in the repository. Papers: In the Arthur Mann Papers, ca. 1901-1969, 6 linear feet. Correspondents include Emanuel Celler. A finding aid for the papers is available in the repository. Oral History: 1957, 3 pages. Reminiscences of Emanuel Celler by Joseph Wall. 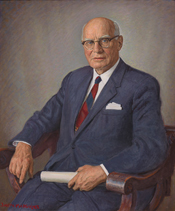 The interview was underwritten by friends of Herbert H. Lehman. Papers: In the League of Women Voters of the City of New York Records, 1919-1979, 58 linear feet. Subjects covered include Emanuel Celler. A contents list of the collection is available in the repository. Papers: In the Lenore Marshall Papers, 1887-1980, 23.5 linear feet. Subjects covered include Emanuel Celler. A contents list of the collection is available in the repository. Oral History: In the Laughlin E. Waters Oral History, 1987, 180 pages. Subjects covered include Emanuel Celler. Papers: In the Arthur E. Sutherland Papers, ca. 1923-1972, 63 linear feet. Subjects covered include Emanuel Celler. An unpublished inventory is available in the repository. Oral History: 1969, 18 pages. The interview is available for research. Oral History: 1972, 4 pages. Interview conducted for the Robert F. Kennedy Oral History Project. Papers: In the Freda Kirchwey Papers, ca. 1871-1972, 11 linear feet. Subjects covered include Emanuel Celler. An unpublished finding aid to the collection is available in the repository. Papers: In the Herbert Claiborne Pell Papers, 1912-1960, 18 linear feet. Correspondents include Emanuel Celler. A folder list to the collection is available in the repository. Papers: In the Harold Weston Papers, 1916-1971, 14.5 linear feet. Correspondents include Emanuel Celler. An internal finding aid is available for the collection in the repository. Papers: In the Alexander Grant Ruthven Papers, 1901-1961, 65 linear feet. Other authors include Emanuel Celler. A finding aid is available for the collection in the repository. Papers: In the Jessica Mitford Papers, ca. 1949-1973, 27 linear feet. Other authors include Emanuel Celler. An unpublished finding aid for the collection is available in the repository. Papers: In the Thomas Page Walker Papers, 1906-1937, 4 feet. Correspondents include Emanuel Celler. A finding aid for the collection is available in the repository. Papers: In the Newton N. Minow Papers, 1954-1965, 23.6 cubic feet. Correspondents include Emanuel Celler. An inventory to the collection is available in the repository. Papers: In the Socialist Party of the United States of America Records, 1909-1965, 4 cubic feet. Correspondents include Emanuel Celler. An inventory to the collection is available in the repository. Papers: In the Edwin Montefiore Borchard Papers, 1910-1950, 61.75 linear feet. Subjects covered include Emanuel Celler. An unpublished finding aid for the collection is available in the repository. Papers: In the Chester Bowles Papers, 1924-1982, 180.5 linear feet. Subjects covered include Emanuel Celler. An unpublished finding aid for the collection is available in the repository. Papers: In the Ogden Rogers Reid Papers, 1925-1982, 315 linear feet. Subjects covered include Emanuel Celler. An unpublished finding aid for the collection is available in the repository. Papers: In the Vaad Hatzala Records, ca. 1940-1963, 27 linear feet. Subjects covered include Emanuel Celler. A published inventory to the collection is available in the repository. Celler, Emanuel. "Congress, Compacts, and Interstate Authorities." Law and Contemporary Problems 26 (Autumn 1961): 682-702. ------. "Congressional Apportionment - Past, Present, and Future." Law and Contemporary Problems 17 (Spring 1952): 268-75. ------. "Pressure Groups in Congress." Annals of the American Academy of Political and Social Science 319 (September 1958): 1-10. ------. "Seniority Rule in Congress." Western Political Quarterly 14 (March 1961): 160-7. ------. You Never Leave Brooklyn: The Autobiography of Emanuel Celler. New York: John Day Co., 1953. Learn more about the House and Civil Rights, specifically the Civil Rights Act of 1964 and Voting Rights Act of 1965.